A Warrant to establish Lodge 728 in the City of Dublin was issued by Grand Lodge in 1846 to Bros. Sir Edward Borough Bart. (1), James Kenny and Viscount Suirdale. The first meeting was held at Freemason's Hall, Dame Street on Friday 14th August, 1846 to open the lodge and install officers. There were nine brethren present. The title "Military Lodge of Ireland" came later. Things were anything but good in that year of 1846 in Ireland. The country was facing a second winter without a potato crop. In November of the previous year a public committee had been formed of prominent citizens presided over by the Duke of Leinster who was our Grand Master. The committee also included Daniel O'Connell. It urged the Lord Lieutenant Lord Heytesbury to adopt a set of measures drawn up by O'Connell "to avert calamity". They included the immediate stoppage of the export of corn, the prohibition of distilling and brewing, the throwing open of the ports for free import of food, the establishment of food stores and provision for employment on works of public utility. The suggestions were ignored and famine stalked the land. In December 1846 some relief was provided by a committee under the Marquess of Kildare, son of Leinster and over £63,000 was collected. One of the founder brethren of Lodge 728 was Sir Edward Borough, Bart. In Thorn's directory of 1847 he is listed as representing Armitt and Co., army agents and militia staff agents of 18 Leinster Street, Dublin. He was the lodge's first secretary and was WM for the first six months of 1847. He was to become Deputy Grand Master in 1869. Lodge 728 held eleven meetings in 1848. Almost from the outset it was used as a vehicle for raising military brethren to the Third Degree. From 1846 to the outbreak of the Great War over 200 candidates were passed through and received their Master Mason certificates. In July 1849 Bro. P. W. Redmond PM presented the lodge with three ivory mauls. These are still in use. The early years were a bit of a struggle as the average attendance was only eight and sometimes meetings could not be held because of insufficient numbers. But from 1852 onwards emergency meetings were often held so that military brethren could be initiated without delay when they received a foreign posting. On 26th August, 1853 Lt. Col. Sir Thomas George Hesketh Bart. of the King's Dragoon Guards was balloted for and admitted. Two evenings later he was raised to the Second Degree and to the Sublime Degree on the same night - five days to become a Master Mason! On 17th March, 1854 Lt. Garnet Joseph Wolseley of the 90th Light Infantry Regiment was proposed for candidature at 21 years of age. He was later to become famous about which more anon. On 3rd August, 1854 Washington Sewallis Shirley 9th Earl Ferrars who lived at Salthill, Monkstown, County Dublin was admitted. Shortly after that the lodge started to hold its quarterly dinners at Salthill Hotel, Monkstown, long since demolished. Lord Ferrars had a vicarious claim to fame - an ancestor of his - the 4th Earl was the last nobleman to be hanged in England. In January 1760 in a rage he killed his old land steward, was tried by his peers at Westminster Hall and hanged at Tyburn. The Crimean War began in October 1853. Colonel George Browne one of the lodge's earliest members fought at the Battle of Balaclava in 1854. Another brother, Hamilton Finlay also took part. He wrote a letter to the Lodge from Camp Headquarters, Sevastopol dated 7thJune, 1853 thanking the Brethren for their good wishes. It is recorded in full in the minutes. On 18th January, 1856 Br Dr Joliffe Tufnell(3) was installed as W.M. In 1841 he had taken membership of the Royal College of Surgeons in England and entered the army as an assistant surgeon of the 44th Essex Regiment, then serving in India. On reaching Calcutta he took medical charge of all the troops as they arrived from England remaining at base until the last detachment had landed. To this delay Bro. Tufnell owed his life, for while proceeding up country to Kabul the massacre of the 44th took place. One officer and seven men only surviving from the entire regiment. He returned to England in October 1841 and served with the 3rd Dragoon Guards at Dublin and Cork. He then settled in private practice in Dublin and became the first Fellow by examination of the Royal College of Surgeons in Ireland, subsequently lecturing in military hygiene in St. Vincent's Hospital and The Royal City of Dublin Hospital, Baggot Street. He then went to study injuries inflicted in the Russo - Turkish war of 1854 and was in the Crimea in 1856. His portrait hangs in the hall of the Royal College of Surgeons in Ireland on St Stephen's Green. He was President of that august body in 1874. His writings on the subject of aneurysm were important and he devised a number of surgical instruments including a bullet extractor which was used widely during the Crimean War. He died on 27th November, 1885 and is buried in Mount Jerome Cemetery. On Friday 16th November, 1855 the lodge meeting was adjourned because of the death of Sir Edward Borough's eldest son from injuries received in the attack on the Redan redoubt in the Crimea. In September 1856 a memorial was presented to Grand Lodge "for permission for this lodge to style itself the Military Lodge of Ireland". An early reply from the Deputy Grand Secretary Lucius H. Deering confirmed that Grand Lodge was pleased to grant such permission. The secretary also reported that he had applied to His Grace the Duke of Leinster, the Grand Master for his approval for an application to be made to HM the Queen through the Secretary of State for Home Affairs for Her Majesty's sanction to prefix the word "Royal" to the name of the Lodge. The Grand Master replied that he had no objection to the lodge obtaining Her Majesty's sanction. If the matter of obtaining permission for the Royal prefix was ever pursued I cannot trace any reference to it in the minute books. The idea seems to have rested with the Grand Master's permission to request sanction. On 6th August, 1869 the brethren agreed that ten shillings be paid from lodge funds for the relief of a Mrs Margaret Griffith. The money was granted to help her to join her parents in Glasgow. The WM, secretary and Assistant Secretary all believed her to be the wife of a brother mason for whom she had been searching unsuccessfully in Dublin. A rather strange story! For the first 23 years of the lodge's existence the vast majority of candidates were military personnel but from 1869 onwards there was a sprinkling of civilians. The financial balance in hand that year was £31.01s.09p. At nearly all lodge meetings memorials were presented and monies paid from Lodge funds and the usual charity collections taken up and various donations made. Sometimes there was a note of the reason for the request for help - in the case of a previous pupil of the Female Orphan School it was in order to emigrate to Canada, and in another case to assist in the purchase of a sewing machine for a deceased brother's widow. Occasionally a donation was approved for a particular applicant but he was told not to apply again! At the Lodge meeting of 16th October, 1874 it was decided "that in consequence of the lamented death of our late Grand Master his Grace the Duke of Leinster, all business was adjourned as a mark of respect to the memory of him who presided over the Order in Ireland for more than sixty years and whose loss to the Order we believe to be irreparable". At a meeting held on 18th December, 1874 it was agreed that a committee be appointed "to consider the subject of The Lodge for Study of Masonry and to report thereon". After one meeting it seems to have petered out. It would seem that there was some interest in research - or was it instruction? I can trace no further references to it in the minute books nor in the Grand Lodge records of that time. On 11th December, 1901 HRH The Duke of Connaught accepted with pleasure his enrolment as an honorary member. The original letter from his ADC is in the minute book. Let us return to Lt. Garnett Wolseley who joined the Lodge at 21 years of age on St Patrick's Day, 1854. Viscount Wolseley, as he was later to become was born at Golden Bridge House, Inchicore, Dublin in 1833. He had already seen action and been wounded in the Burmese War of 1852-53 and been mentioned in despatches. In the Crimean War he was severely wounded and lost the sight of an eye, was again mentioned in despatches and received the Legion of Honour. He served in India during the Mutiny and in the Chinese War of 1860. In 1861, now a Lt. Col. he sailed for Canada and put down the Red River Rebellion without losing a man. This rebellion was led by the Canadian insurgent Louis Riel. Bro. Wolseley, now a Major General and Knight Commander of the Order of St. Michael and St. George, next commanded the Ashanti Expeditionary Force. On his return he received the thanks of Parliament and a grant of £25,000. In 1882 he was gazetted Baron Wolseley of Cairo and Staffordshire (where his forebears came from) and was promoted to General. 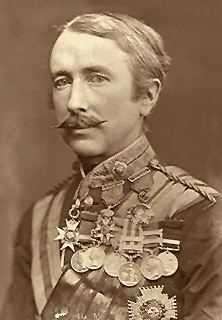 Following the abortive mission to the Sudan in 1884 which failed to save General Gordon, Wolseley was elevated to a Viscountcy and then came over to Ireland where he served as C in C from 1890 to 1895. He was installed as W M of Lodge 728 in January 1893, serving for two terms, and did not miss a meeting in that time. In 1894 he was made a Field Marshal and was Father of the Lodge from 18.01.1895. He shortly afterwards left Ireland for Whitehall to take over from 1895 to 1900 as C-in-C of the British Army. He wrote a number of Army hand-books, "A Life of Marlborough" and "The Decline and Fall of Napoleon" and a novel called "Marley Castle". Col. Hugh McCalmont CB(4) of 16 Merrion Square became a member in 1894 when Wolseley was in the Chair. He was later to become Major General Sir Hugh McCalmont KCB, CVO., of Mount Juliet, Kilkenny, an estate of 1600 acres - his old home. Part of the estate is now a luxury hotel and leisure centre. He also had a distinguished military career but in Ireland he attained fame as a racehorse owner and trainer, being the owner of one of the greatest sires of all time, The Tetrarch. He could play the piano and organ and compose music, and his memorial service at St. Georges, Hanover Square on 5th May, 1924 came to an end to the strain of one of his own marches. Incidentally at the Lodge meeting on the night that Bro. McCalmont was balloted for with W.Bro. Wolseley in the Chair a letter was read from Br0. Pollocks asking for a subscription towards the claypigeon shooting club (not named) "which gives its earnings to Masonic charities". Ten shillings was granted. The lodge partook fully, with the help of Lady Wolseley and the Ladies' committee in running a stall comprising childrens' clothing and fancy goods at the Centenary Bazaar at the Royal Dublin Society in 1892. On Friday 17th April, 1896 Field-Marshal Earl Roberts of Kandahar, Pretoria and Waterford, VC, Commander of the Forces in Ireland was balloted for and admitted. For the sake of brevity I shall not refer to his earlier military campaigns. In November 1897 he is bracketed with Bro. O.M. Robinson as Junior Warden in the minutes, but he declined the invitation due to his many official duties. On 18th March, 1898 Field Marshal Lord Roberts wrote to the Lodge secretary regretting that he would be unable to attend at refreshment as he was leaving town. Other than his original admission, I cannot find that he ever attended the lodge whilst it was at Labour, but it would seem that he had no objection to attending refreshment! In December 1899 Bro. Field Marshal Lord Roberts was appointed C-in-C of the Forces in South Africa. Just before he sailed, two days before Christmas 1899, he was informed that his only son Lieutenant, the Hon. Frederick Roberts had died of wounds at Colenso. He was posthumously awarded the V.C. This is one of only three instances of father and son both being awarded the Victoria Cross. Lord Roberts was devastated by his son's death. He wrote to his wife that "the rent in my heart seems to stifle all feelings... I could not help thinking how different it would have been if our dear boy had been with me. Honours, rewards and congratulations have no value for me". The war was going badly for Britain when Lord Roberts took command. There had been reverse after reverse, and in the High Command there was, let us not put a tooth in it, enmity between Roberts and Wolseley, there was a "Roberts ring" and a "Wolseley ring" in the army. Make no mistake about it, in the field these brethren were two of Britain's most famous fighting generals but there were serious differences of opinion between them as to the conduct of the war. And to give some idea of War Office blunders regarding supplies: the army had just decided to change its standard rifle from the Lee Metford to the Lee Enfield. The two weapons were the same, except for the rifling, but no one had noticed that this changed the sighting. There was consternation at the War Office that December of 1898 because 25,000 reservists had gone to South Africa with rifles that fired eighteen inches to the right at 500 yards. All these rifles had to be re-sighted. Also some dum-dum ammunition was issued and had to be recalled. It was not used but other ammunition labelled "Dum-Dum", was captured by the Boers and caused an international furore. It was actually standard issue made at Dum-Dum in India. Despite all these setbacks Roberts pressed on to relieve Kimberley and made the great advance to Pretoria in June 1900. He came home in 1901 victorious, and was created an Earl; he then served as Commander-in-Chief until the abolition of the post in 1904. He died in the autumn of 1914, in his 83rd year whilst on a visit to his beloved India troops fighting in France with the British Expeditionary Force at St. Omer. "Little Bobs", as he was referred to by Kipling, was but five feet two inches in height. He was immensely popular with his troops. Brethren of Lodge 728 fought in almost every campaign from Balaclava to the battles of the Great War and many were decorated for bravery. Twenty-eight brethren served in the Great War. After the Easter Rebellion of 1916 the surrender of the insurgents under Countess Marcievitz in the Royal College of Surgeons in St. Stephen's Green, Dublin was accepted by Major Henry de Courcy Wheeler. His Smith & Wesson revolver is on display in the National Museum. As a captain he had been balloted for on 18.04.1902 and the ballot was declared clear but I cannot trace that he ever joined the Lodge. This completes an outline of the first 77 years of the history of The Military Lodge of Ireland 728, and some of the brethren who forged its history. In 1986 Peace Love and Harmony Lodge 666 of Dublin, dating from 1864, amalgamated with Lodge 728 under 728's number, title and warrant. The chains of office of the worshipful master, senior warden and junior warden of 666 are worn by the officers of the amalgamated lodge. These chains, sometimes on display in the museum at Freemasons' Hall, are insured for £15,000. They were presented to Peace Love and Harmony Lodge in 1864 by Davenport Crosthwaithe, past Grand Deacon and Lodge 666's first worshipful master. Refugees and Irregular Forces in April 1922. C. Woodham-Smith, The Great Hunger: Hamish Hamilton, London, 1962. The Autobiography of William Carleton: MacGibbon & Kee, London. 1968. Sir Charles A Cameron, History of the Royal Dublin College of Surgeons in Ireland and of the Irish Schools of Medicine, Fanning & Co, Dublin, 1916. Dr A M 0'Sullivan, Historical and Topographical Notes on Mt. Juliet, Thomastown and and Central County Kilkenny, 1988. Thomas Pakenham, The Boer War: Weidenfield & Nicholson Ltd, London, 1979. Thorn's Directory of Ireland, 1847. The Oxford Dictionary of National Biography, Vol. II, pp 424-5. Having presented this paper I am indebted to a number of people. My thanks are due to R.W. Bro. Jack Magowan former WM of Lodge of Research No. 200 and also former Secretary of the Military Lodge of Ireland No. 728. It was he who encouraged me to write it. I also thank W Br Joe Mcllveen for helpful suggestions, W Br Barry Lyons, Asst. to the Grand Secretary for his ever ready assistance, our editor W.Bro. Victor McCaughan and W.Bro. William Watson for their advice. I thank W.Bro. Frederick Smyth, PM of Quatuor Coronati Lodge No. 2076 for information on the Masonic origins of Field-Marshal Lord Roberts. Also I am very grateful to Mr Paul Doyle of the National Museum, Miss Mary O'Doherty of the Royal College of Surgeons in Ireland, the staff of the National Library of Ireland, the library staff of the Royal Dublin Society and the photographic section of the National Army Museum, London. All these people took time to assist me. (1) Edward Richard Borough, 2nd baronet, Merrion Square, was elected a life member of the R.D.S. on 23rd February, 1843, and was a member of the botany committee 1843-4. His proposers were Sir William Betham and James Robert Stewart. According to Debrett (1877) he was born in l800, educated at Westminster school and Christ Church, Oxford, and succeeded to the baronetcy in 1837. He was the head of the firm of army agents, Armit (q.v.) and Company, South Leinster Street, and married in 1831 Lady Elizabeth St Lawrence, daughter of the 2nd earl of Howth. Sir E. R. Borough was Dublin city sheriff in 1841-2, and a governor of St Patrick's Hospital 1849-60. As chairman of the Dublin sanitary committee he officially supported publication of William Hogan's (q.v.) paper on lodging houses for the poor, 28th December, 1848. The R.D.S. executive council refused his request for a room in which to run a bazaar to raise funds for the Dublin sanitary association, 12th February, 1852, however he was given permission to hold meetings of the association in the R.D.S. theatre, 19th January, 1854. The grounds for declining his earlier request was that there were deep divisions within the society on the propriety of using the premises to hold bazaars for any purpose. However, on 5th November, 1857 he was also refused permission to hold the regular meetings of the sanitary association on the R.D.S. premises. A Justice of the Peace, and County Deputy Lieutenant, he owned 523 acres of property in County Roscommon and in Coolock, County Dublin. The R.D.S. listed his addresses as 18 Leinster Street (1858), 4 Nassau Street (1859-72), 28 College Green (1873-8) and Glenaveena, Howth (1866-78). (2) Sir William Betham (1779–1853) was an English herald and antiquarian, the Ulster King of Arms from 1820 until his death in 1853. He had previously served as the Deputy Ulster from 1807 to 1820. Betham was born at Stradbrook in Suffolk on 22 May 1779, the eldest son of the Reverend William Betham and Mary Damant. He was knighted in 1812. Betham took an active part in the proceedings of the Royal Irish Academy, from the period of his admission to it as a member in 1820. He became one of its governing body, acted as secretary, and made contributions to its publications.He died suddenly on 26th October, 1853 at his home in Rockford, County Dublin, having spent the previous day writing letters at the Office at Arms. He is buried in Carrickbrennan Churchyard at Monkstown, County Dublin. Betham’s original notebooks are now in the National Archives of Ireland and the Genealogical Office, Dublin has his sketch pedigrees based on his will abstracts. (3) Dictionary of National Biography, 1885-1900, Volume 57, by D'Arcy Power - THOMAS JOLLIFFE TUFNELL, (1819-1885), surgeon, fifth son of John Charles Tufnell, lieutenant-colonel of the Middlesex militia, by his wife Uliana Ivaniona, only daughter of John Fowell, rector of Bishopsbourne, Kent, was born at Lackham House, near Chippenham, Wiltshire, on 23 May 1819. He was educated at Dr. Radcliffe's school at Salisbury, and was apprenticed in 1836 to Samuel Luscombe of Exeter, then senior surgeon to the Devon and Exeter Hospital. Tufnell proceeded to London after studying at Exeter for three years, and entered at St. George's Hospital under Sir Benjamin Collins Brodie (1783–1862) [q. v.] and Cæsar Hawkins. He was admitted a member of the College of Surgeons of England in May 1841, and on 11 June in the same year he entered the army as assistant surgeon to the 44th regiment, then serving in India. He proceeded to Calcutta, and took medical charge of all the troops as they arrived from England, remaining for this purpose at Chinsurah until the last detachment had landed at Christmas. By this delay he was hindered from participating in the disastrous campaign in Afghanistan in 1842, in which the 44th regiment was almost annihilated. He returned to England in October, and was posted to the 3rd dragoon guards, with whom he served at Dundalk, Dublin, and Cork. In 1844 he was married, and determined to leave the service and settle in private practice. On 14th April, 1846 he accordingly obtained his transfer to the army medical staff at Dublin, and shortly afterwards accepted as a life appointment the post of surgeon to the Dublin district military prison. He was admitted in 1845 the first fellow by examination of the Royal College of Surgeons of Ireland, and in 1846 he fitted up a class-room and lectured on military hygiene. He also lectured upon this subject at the St. Vincent and Bagot Street hospitals until his appointment as regius professor of military surgery in the College of Surgeons in 1851. He lectured in this capacity until 1860, when the chair was abolished by the government as a result of the foundation of the Netley military school. Tufnell again saw service; for in the war between Russia and Turkey, after passing down the Danube in 1854, he went to the Crimea with a Scottish regiment. He acted as an examiner in surgery at the Royal College of Surgeons in Ireland, but he resigned the post on becoming a candidate for the office of vice-president in 1873. He served the college as president in 1874–5, and he was for more than twenty years surgeon to the City of Dublin Hospital. He died on 27 Nov. 1885, and is buried in Mount Jerome cemetery, near Dublin. In 1844 he was married to Henrietta, daughter of Croasdaile Molony of Granahan, and widow of Robert Fannin. By her he left two daughters: Iva, married to Peter Leslie Peacocke; and Florence, married to Thomas Turbitt of Owenston. Tufnell wrote: 1. ‘Practical Remarks on the Treatment of Aneurism,’ Dublin, 1851, 8vo. 2. ‘The Successful Treatment of Internal Aneurism,’ London, 1864, 8vo; 2nd edit. 1875. He also devised various surgical instruments. (4) Major-General Sir Hugh McCalmont KCB CVO (1845 – 2nd May, 1924) was a British politician. He was elected as an Ulster Unionist Member of Parliament for North Antrim in 1895, resigning in 1899 by becoming Steward of the Manor of Northstead. McCalmont was commissioned into the 6th Dragoon Guards in 1865. He saw service in the Red River Rebellion in 1870, the Third Anglo-Ashanti War in 1873 and the Russo-Turkish War in 1877. 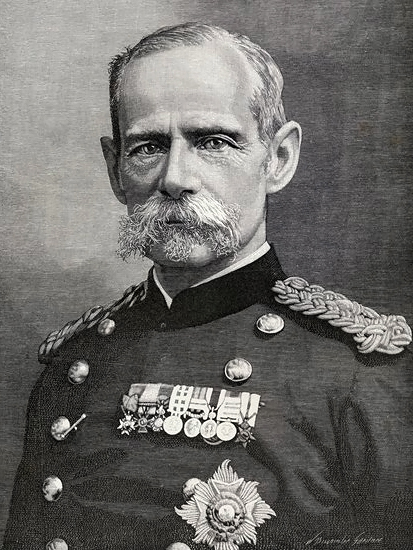 McCalmont also took part in the South African War in 1879, the Second Anglo-Afghan War in 1879 and the Anglo-Egyptian War in 1882 as well as the Nile Expedition in 1884. In 1884 he became aide-de-camp to General Wolseley. He was elected as an Ulster Unionist Member of Parliament for North Antrim in 1895 but resigned in 1899 by becoming Steward of the Manor of Northstead. He became General Officer Commanding 8th Division in Ireland in 1902. He lived at Abbeylands sited within the townland of White Abbey, which the village of Whiteabbey takes its name, near Belfast, County Antrim until it was burnt down in 1914 in a firebomb attack by Suffragette radicals. In 1885 he married the Hon. Rose Elizabeth Bingham, daughter of John Charles Robert Bingham, 4th Baron Clanmorris of Newbrook.